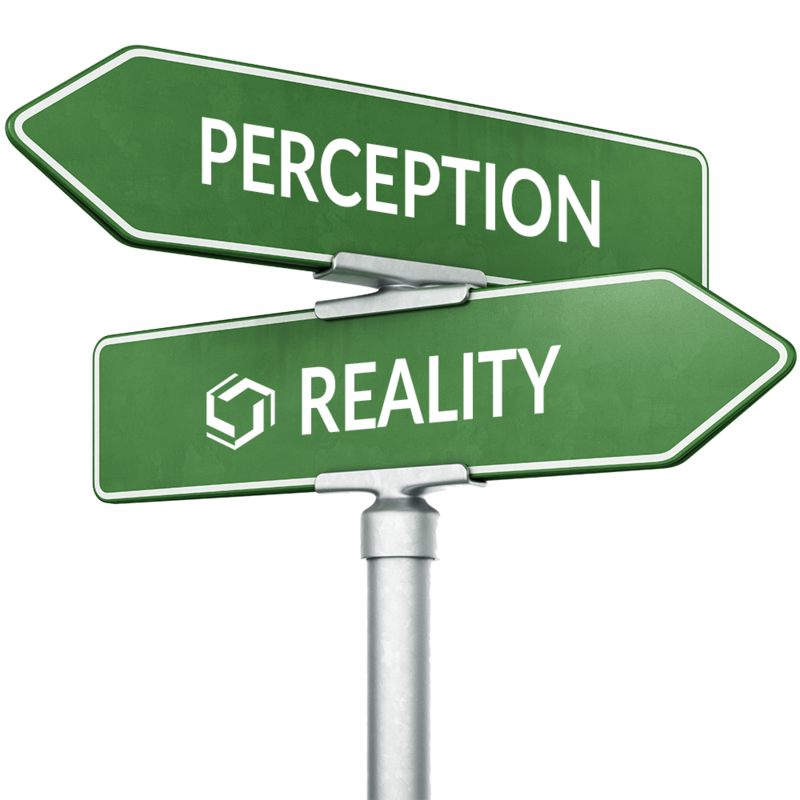 The Marketing Truth You Cannot Ignore – Perception is Reality! This simple statement can enhance or destroy your business! So; Just what is perception? Perception is defined as the process by which individuals select, organise and interpret stimulation of their senses (sight, smell, touch, hearing or taste) into a meaningful and coherent picture of your business. The picture painted by the customers senses should be Reality. Reality can of course exceed expectation. Much of the disciplines of marketing communications focuses on creating stimuli that positively influence consumer perceptions. Does your marketing do this? What is the product you are selling? It’s important to define. It’s not just a consumable product, or service that you sell. It’s the whole business. The way it looks outside and online. The quality of the toilets. The look of the signage. The quality of the menu, or a price list, whether its stained and dog eared, or whether is clean and new. All of these messages create a perception for the customer. I once took a holiday in the Isle of White at a hotel on the seafront. When I arrived the first letter of the hotel name was missing. I immediately thought, this could be ‘Faulty Towers’ experience, and it was! The availability of poached eggs was confined to certain days. The lift doors didn’t stop if they touched you (I literally had to wrench my shoulder from the doors), and to top it all, unsympathetic staff. There were many more incidents too. The message I want to share with you here is my perception was disappointingly – a reality. Some hotels will unfortunately, have the same negative messages on the outside, customers viewing these messages may well assume that the standards are poor because of those external message and pass to stay at another hotel instead. This is lost business for that hotelier and they wouldn’t have noticed, because the customer wouldn’t have told them. The messages outside your business are crucially important, and; will make a difference to your income, either positively of negatively. My advice: Take a regular look at your business with the Customers Eyes. Identify what you perceive, and then strive to communicate with the customer with all of their senses making sure that its positive and matches what you intend them to perceive. 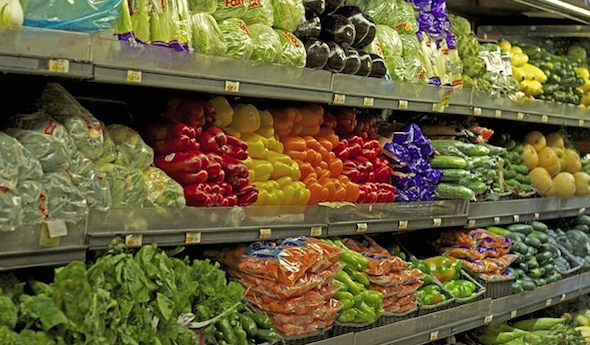 Do you perceive these vegetables to be abundant and fresh? Perception is ‘nothing fresh and nothing to make your meal with’. You would probably go to a different supermarket. The big question is ‘Would you go back to the original supermarket?’ Have they now lost your business? While it’s difficult to impact the expectations and motives formed on past experiences, here’s how you, as a marketer, can impact the physical stimuli consumers perceive in your business. Identifying your product’s value proposition: In order to influence perceptions, you need to define and document your product’s value proposition, don’t forget your product is not just the consumable product or a service, it’s the whole business. Your value proposition is your big picture promise, the benefit your product or service uniquely provides. Defining your value proposition requires you to understand your target customers’ unmet needs and how your products, as well as that of your competitors, will fulfil those needs. Identifying gaps where your customers face unmet needs that are not fulfilled by competitors can help you to identify your product’s value proposition. Tell the customer you have it. Telling the customer you have it, includes using all of the customers senses. We have many display products to help entice your customers and improve your marketing, please browse our site for more information. How to Maximise Impulse Sales in Time for the Payday Rush! Primark just before the checkout. A display of great impulse products. Payday is great for your business; the end of the month brings about a smorgasbord of customers ready to spend their hard-earned cash! Your customers will be wanting to freshen up their wardrobe with a new look; upgrade their home with stylish new furniture or meet up with friends and benefit from retail therapy. So whilst your customers are in the mood to “spend, spend, spend!” make sure you “promote, promote, promote”. Use discounted products to create sale opportunities that will bring your customers to the checkout; which is the perfect environment for up-selling! Primark uses this principle very well. 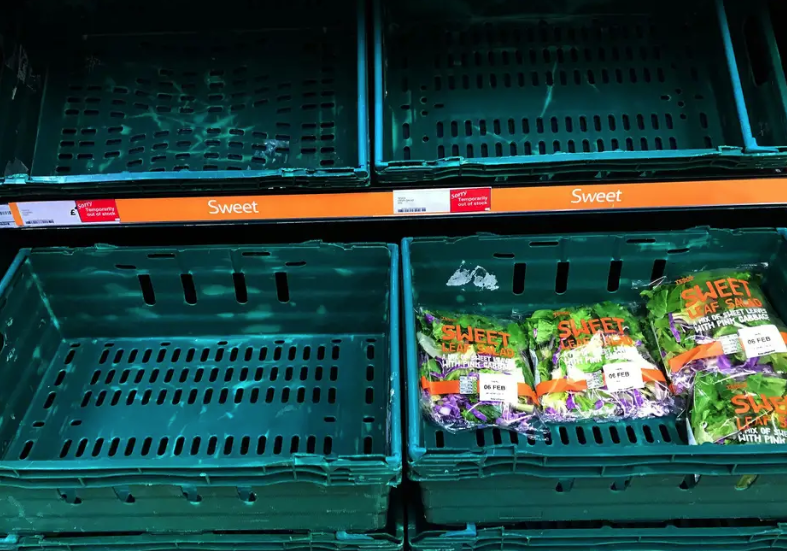 Simple black retractable barriers are used at the checkout to manage their queues where smaller, affordable products are displayed in dump bins to encourage customers to add further items to their baskets whilst waiting. Dump bins that are designed to fit on top of barriers posts are perfect for catching the eye and making the most of the available space in this area, they not only look good but with an effective marketing strategy, they can have a large impact on your sales growth too. Include an eye-level and impulse campaign to see your sales soar. This should consist of products that grab attention and relate to your hot spot (aisle end) areas to create hype and a need to have. Fill your bins and keep them full to show abundance, there is nothing worse than an empty shelf or bin, it only has a negative impact and always research your market for upcoming trends, themes and events. Being ahead will allow you to plan your stock for the demand. For example if a holiday is on the horizon like Mothers’ day consider adding products which are likely to grab your customer attention as a quick fix gift. Increase impulse sales and generate traffic with our marketing products, developed and designed by the sign & display solution experts at BHMA. Email us at sales@bhma.co.uk or call us on 01353 665141 with your requirements. How to increase your coffee sales? This really is a no-brainer! We all know how much it costs to make a cup of coffee and how much we pay to drink one in a bar, café or restaurant. You really are missing a trick if you are not promoting your coffees, this has a high profit margin and Europeans are now the worlds biggest coffee drinkers! The easiest way to increase sales is to market your product well, by well I mean provide clear communication. There are a number of ways this can be achieved but the easiest (and most economic) is to use what you already have! Most establishments will have coffee beans, chalkboards, maybe even a grinder, all you need to add for the perfect result is a little time and inclination! Have a look at our examples above, the first has been created with and old fashioned grinder, a bottle of Jamesons, coffee beans, and a fake Irish coffee (created with instant coffee and white flour), all that is needed to make this display complete is a chalkboard with a simple promotional message to tantalise the taste buds. The centre photo shows a coffee menu displayed on a chalkboard that can be hung on the walls as a piece of art, gently persuading your customers to enjoy their favourite cuppa. The third is simply coffee beans, chopping boards, a couple of mugs, a little bit of artistic talent and a lot of patience! As you can see the opportunities are endless to create a simple display with little or no outlay simply using what you have. Remember to change your designs, promotions and offers, if your customers sees the same thing month in month out it will become part of the furniture and stop working, you need to jazz it up a little and come up with new ideas. How about offering a Baileys Latte at Christmas, an Espresso Martini in the summer and a Calypso Coffee for Bonfire night! (All recipes below). Baileys Latte – This really isn’t just for Christmas and it’s so easy! Pour steaming milk into a coffee glass, add a shot of espresso and pour in the Baileys, finish with a sprinkling of crumbled chocolate or cocoa powder. Espresso Martini – Ok, you’ll need an espresso machine and a shaker for this one. It sounds complicated but it’s just a matter of mixing booze with coffee. Shake the Kahlúa, Absolut Vodka and espresso together with plenty of ice. Strain into a cocktail glass to get rid of all the small ice chips. Calypso Coffee – This one’s easy simply pour the rum and liqueur into a mug and top with hot coffee. Simples! As you can see all the above is achievable with a little thought, time and dedication, want to improve your sales? What are you waiting for? And if you have any photos or recipes please send them my way, I’m always tempted with a cheeky chai!